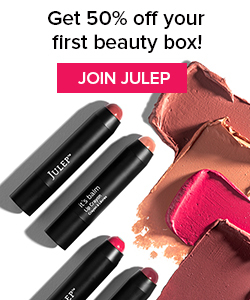 Home » Beauty Bargains » TODAY ONLY || Fat Tuesday Julep 4-pc set plus a FREE eye shadow stick from me! You all know, I love a good beauty bargain and I love Julep nail polish. So, when an email came through my inbox this morning for a spectacular deal on a Fat Tuesday inspired 4-piece set, called Let Them Eat King Cake, I could not wait to share it with you. On top of that, I have a special discount code for you to add one of Julep’s new Eye Shadow 101 Sticks to your order for FREE! Get the brightest Mardi Gras mani this side of Bourbon Street with a 4-piece Mardi Gras nail art set from Julep. For just $15, you’ll get three polishes plus a nail art creativity kit – which in total retails for $52! I wouldn’t normally be so excited about a set that came with a nail art tool, but yesterday I saw this post from Megan Joy that gave such a great tutorial on a super cute heart nail art option, that I am quickly snatching up this set from Julep in order to acquire that dotting tool…and the awesome nail polish, of course. I see that yellow polish on my nails during Easter, for sure! Hurry and claim yours today, because the Let Them Eat King Cake deal only lasts through the end of Fat Tuesday (2/9). That’s today! And, I have a way to sweeten this deal even further with a FREE Eye Shadow 101 stick (retails for $18). Purchase the Let Them Eat King Cake set for $15, add your favorite Eye Shadow 101 stick to your cart, and enter code FEBEYES to receive the eyeshadow stick for free! 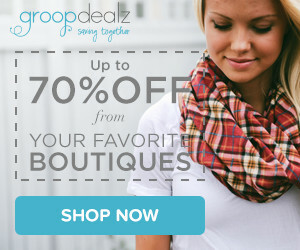 Oh, and don’t forget to start your shopping trip at Ebates! With a Julep purchase, as of the date of this posting, you will get 5% back!! Details: While supplies last. All Sweet Steals are final sale, absolutely no exchanges or returns. Taxes vary by location. Tell me in the comments section, what type of nail art will you try? 7 Comments on TODAY ONLY || Fat Tuesday Julep 4-pc set plus a FREE eye shadow stick from me! I’m thinking that I probably wouldn’t wear any of those polish colors. LOL! But I do love the Julep line and there are so many shades to choose from. Theres definitely something for everyone. They really do have such a wide range of colors…but they also have such unique options! I’m definitely going to give Megan Joy’s heart tutorial (linked up in post) a try. Otherwise, I am hoping I can at least make polka dots! You are welcome, your tutorial was so great!